Designed for speed and easy access to your gear, the Modular Component System moves the weight of your camera equipment and accessories from your shoulders to your waist. The system consists of individual lens and accessory pouches that attach to, and slide around, a specially designed belt. Since the pouches are modular, the system can be configured for any assignment, under any condition. The Modular Component System is ideal for shooting sporting events, weddings and photojournalism where rapid camera gear deployment is essential. In many cases, photographers transport their gear to an event in a roller or backpack, and then transition to a modular system for a more efficient workflow. Not sure which modular pouch is right for you? 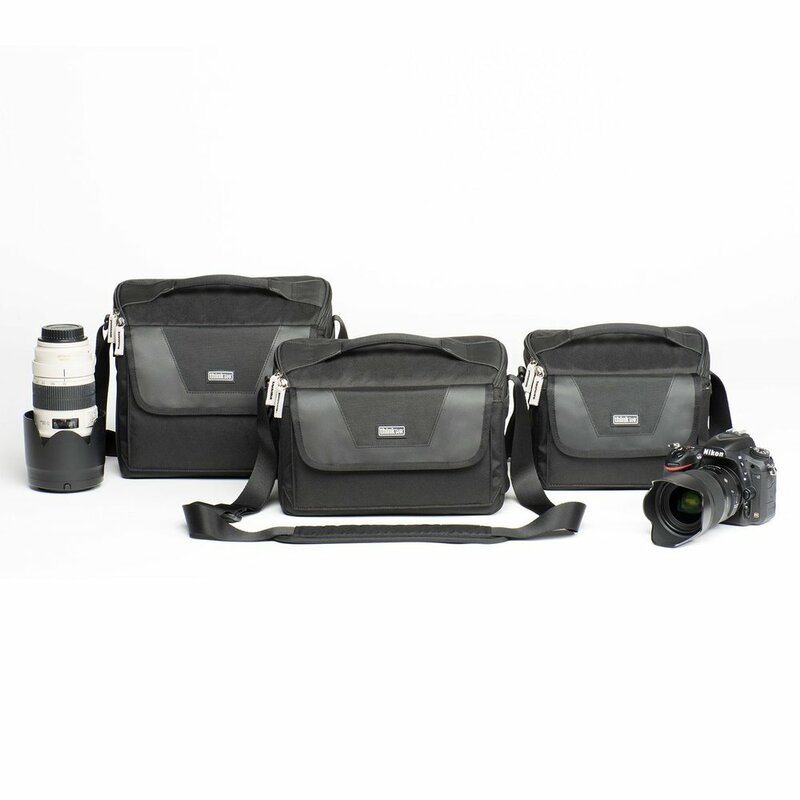 The StoryTeller shoulder bags fit both DSLR and Mirrorless camera bodies and lenses, and feature a flip-top lid for quick access. The premium quality materials used to build the StoryTeller ensures your gear stays protected at a price you can afford.